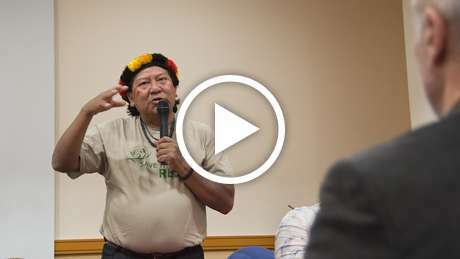 Last month Yanomami representatives in Venezuela handed in a demand to the state government for the recognition of their territory. 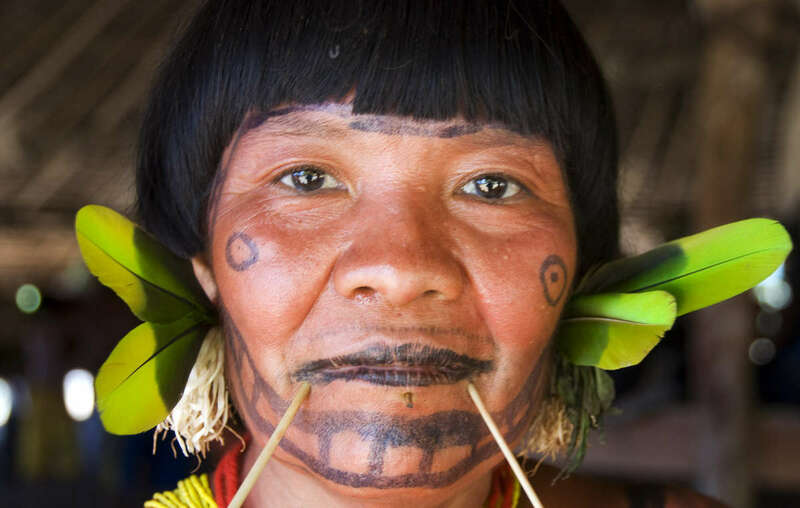 The Yanomami are calling on the authorities to recognized their collective land ownership rights as guaranteed in the Venezuelan constitution. This is vital if they are to conserve their rainforest home for future generations. Currently much of their land lies within two national parks which form a biosphere reserve, but a collective land title will give the Yanomami greater security and protection over the forest which they have inhabited since time immemorial. The Yanomami organization, Horonami, and many communities worked together to compile studies, digital maps and a census which form the basis of their demand for land rights. Much of their territory has been invaded by illegal miners in the last 30 years. The largely isolated tribe has suffered appalling consequences: genocidal attacks and violence at the hands of armed miners working illegally in the territory, as well as fatal diseases transmitted by them such as malaria, measles and flu. 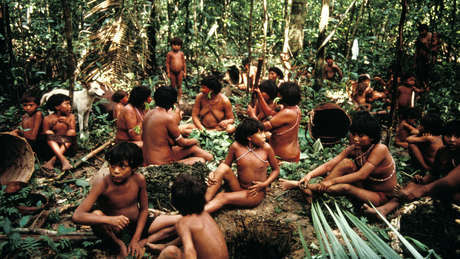 They have witnessed the increasing destruction of their forest and rivers which has made hunting and fishing harder. 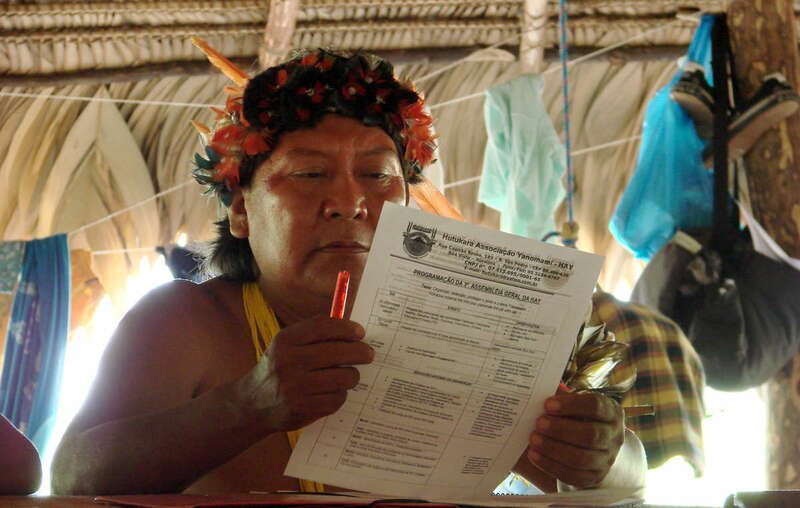 Two indigenous networks in Venezuela’s Amazon region wrote to the President on 4 April to address the increasingly serious situation of indigenous peoples affected by illegal mining. Since 1989 all mining in the Venezuelan state of Amazonas has been prohibited. However miners continue to operate illegally and tribal people report a notable increase in the use of destructive dredges, high pressure hoses and mercury and other toxic substances. Fish and water on which many communities rely for sustenance are being poisoned, river courses are being altered and great quantities of forest destroyed by the miners. According to the indigenous organizations COIAM and ORPIA, mining encourages drug trafficking, contraband of national products, prostitution and the invasion of indigenous territories by armed groups and outsiders including from Colombia and Brazil. Despite numerous reports and demands for action the authorities have failed to tackle the problem. The indigenous organizations want to be consulted and work with the government to eradicate illegal mining.